I’ve been meaning to ask you… What is that in your gravatar icon? Oh! The little owl? I made that. Well, you asked at just the right time, Boldy. Because for today’s A-to-Z Challenge, N is for Needle Felting! I just learned about needle felting this past year. Unlike other needle crafts (knitting, crochet, sewing, etc.) needle felting doesn’t use yarn or thread. Instead, it uses the unspun form of wool known as roving. Felting needles are similar to sewing needles in size and thickness, but are generally flat or triangular rather than cylindrical. The most significant difference is that felting needles have several small notches along the shaft. If you want to try needle felting, you need just a handful of supplies. In addition to wool roving and the special needles, you will need a foam pad. The foam pad acts as your working surface, and allows the needles to puncture it without being damaged. Alternatively, you may use a bristle mat. I’ve personally found that using individual needles works best on a foam pad while the bristle mat is good when using a multi-needle tool. You can get these supplies online or at a craft store. There are also kits available that give you a few needles, instructions, and the roving you need for an included pattern. 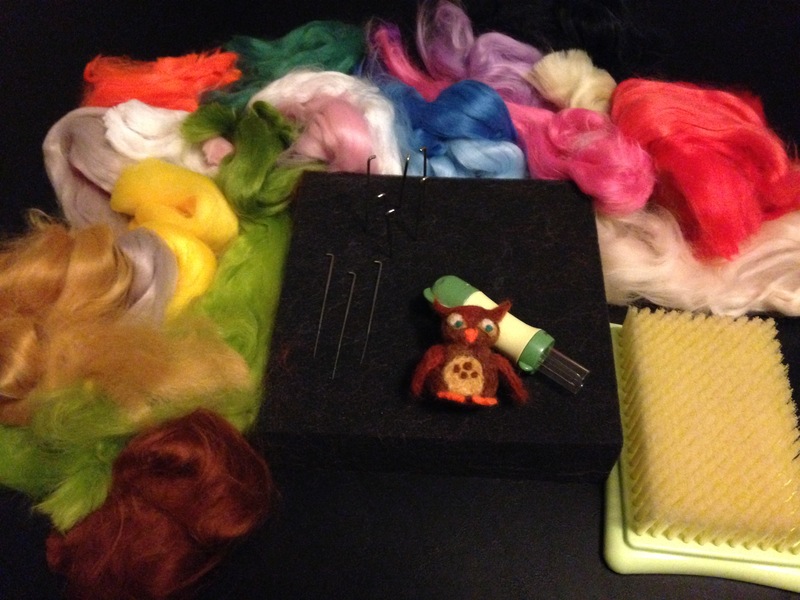 Needle felting supplies: Foam pad, felting needles, a multi-needle tool, bristle mat, and many colors of wool roving. Needle felting is basically sculpting with wool. When you stick a felting needle into a clump of wool roving, the notches on the needle will grab onto the fibers. By repeatedly reinserting the needle into the roving, the fibers will become tangled and matted — essentially forming felt. The trick is to constantly manipulate the roving in order to form the desired shape. 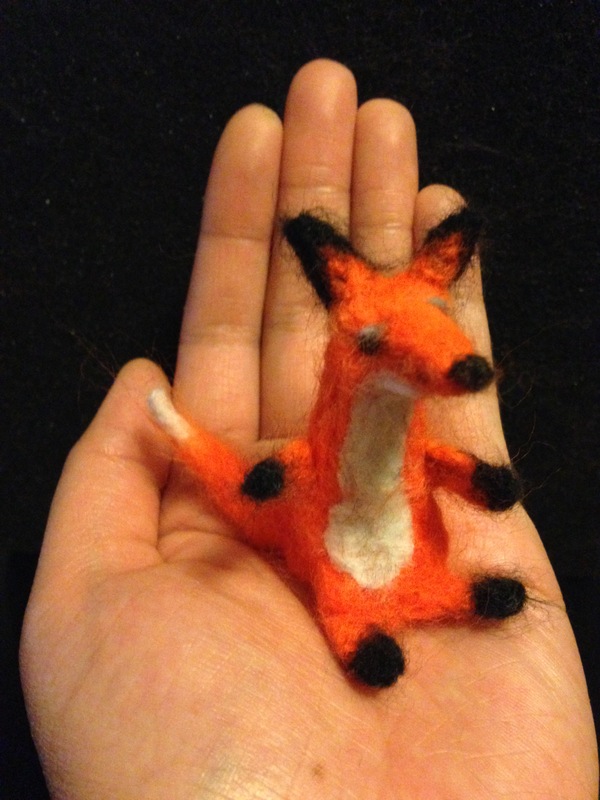 Not-So-Fantastic Mr. Fox — My first attempt at needle felting. I didn’t use a kit or have any instructions when I first started needle felting. I watched a few youtube videos to get the basics, then let my imagination fly. Because of this, my first project was a fairly sad-looking fox. Through this trial attempt, I figured out the best ways to manipulate the roving in order to get the shapes and textures that I wanted. I also learned that if you puncture the roving with the needle too much, the wool will become more matted and dense, making it hard to correct any mistakes. Other than that, needle felting is a fairly forgiving practice. As long as you leave the wool loose enough, you can pull your project apart and start anew. While I’m still very much a novice at needle felting, I’ve really enjoyed working on the few things that I’ve finished. Once I get a little more free time, I hope to start working on a new project. When I do, I’ll try to take some in-process photos and make a post about it. 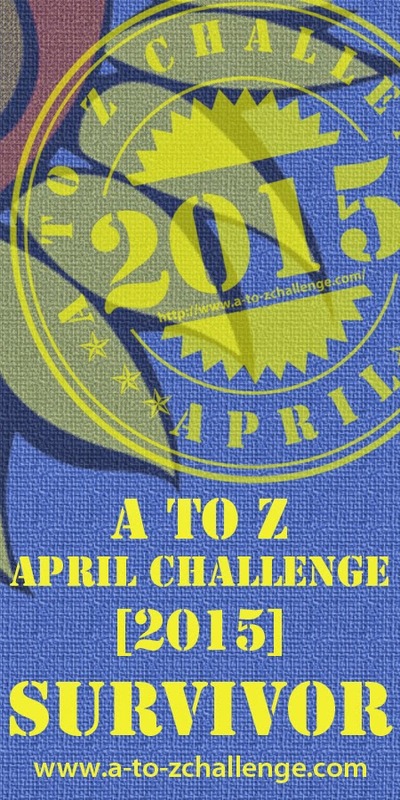 But until then, enjoy the rest of A-to-Z Challenge! Can you believe we’re already halfway done? I’ve been having a lot of fun so far, and am excited to see what the rest of April has in store! Ah, now the owl picture makes sense and it is pretty cool! I like the fox – he doesn’t look sad to me 😉 I’ve never tried needle felting, but I’d like to. Oh how fun! And I don’t think Foxy is sad-looking at all – I think he’s fabulous. Haha, why thank you 🙂 And thanks for reading! This was very interesting. I’ve never heard of needle felting before but I think I will look into it and I think your little fox is cute!